J C Ryle Quotes and Wise Words. 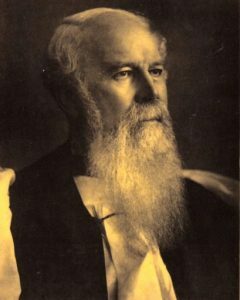 Here are some J C Ryle quotes. John Charles Ryle was born in Macclesfield, Cheshire, in 1816. He served as Rector in a number of parishes, the longest period of time being in Helmingham, and then Stradbroke, both in the county of Suffolk, before he went on to become the first Anglican Bishop of Liverpool in 1880. He was a prolific writer, a very effective and much respected preacher, and has been described as a “man of granite, with the heart of a child.” Much use has been made of J C Ryle quotes from his sermons and written work, and we also offer some of these, which we hope will be of interest. We hope to add more from time-to-time. 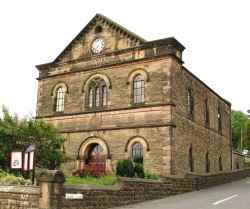 Just as a matter of further interest, J. C. Ryle preached at the Anglican church in Crich in 1861, at a time when he was Rector at Helmingham, Suffolk. To read each quote, click on the title bar attached to each quote, then click there again to close the quote. “For one thing, I ask all my readers to remember that to attain simplicity in preaching is of the utmost importance to every minister who wishes to be useful to souls. Unless you are simple in your sermons you will never be understood, and unless you are understood you cannot do good to those who hear you. It was a true saying of Quintilian, “If you do not wish to be understood, you deserve to be neglected.” Of course the first object of a minister should be to preach the truth, the whole truth, and nothing but “the truth as it is in Jesus.” But the next thing he ought to aim at is, that his sermon may be understood; and it will not be understood by most of his hearers if it is not simple. “Without conversion of heart we cannot serve God on earth. We have naturally neither faith, nor fear, nor love, toward God and His Son Jesus Christ. We have no delight in His Word. We take no pleasure in prayer or communion with Him. We have no enjoyment in His ordinances, His house, His people, or His day. We may have a form of Christianity, and keep up a round of ceremonies and religious performances. But without conversion we have no more heart in our religion than a brick or a stone. Can a dead corpse serve God? We know it cannot. Well, without conversion we are dead toward God.